A report of Everton's defeat away to Manchester United. 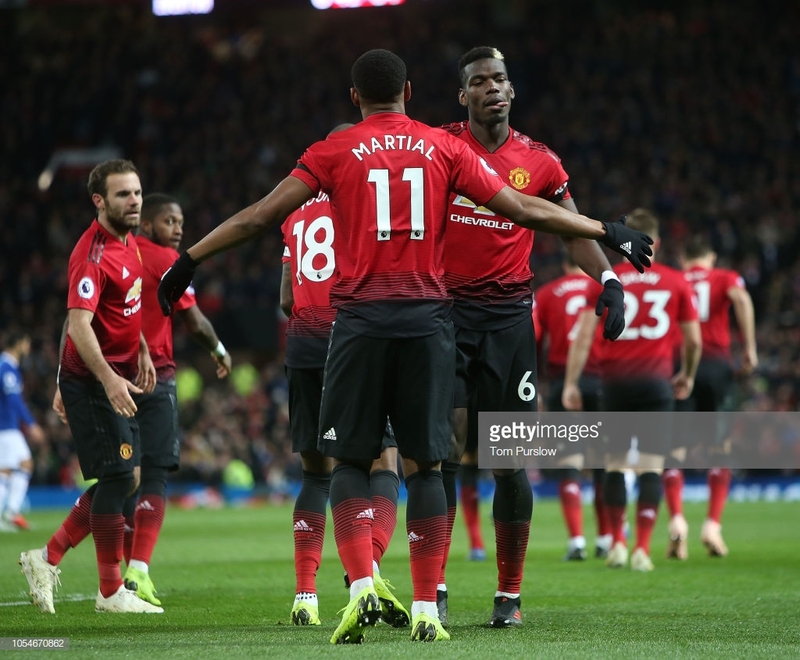 Goals either side of half-time from Anthony Martial and Paul Pogba gave Manchester United only their third home win of the season, beating Everton 2-1. Marco Silva’s side struck back with just less than ten minutes to play thanks to a Gylfi Sigurdsson penalty but were unable to overturn the deficit. Jose Mourinho’s Red Devils survived a similar late scare from the Blues to the one where Chelsea pegged them back last weekend but did enough to see the game out. United took the lead just before the half-hour mark. The host won a controversial penalty after Martial went over Idrissa Gueye. 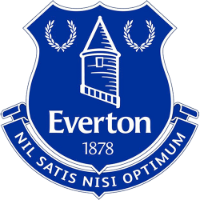 Gueye, via replay, had been shown to have won the ball but without being able to rely on VAR to correct incorrect decisions, referee Jon Moss awarded the spot kick. Pogba saw his penalty saved by Jordan Pickford but tapped home the rebound. They doubled their lead not long after half-time. Martial from the edge of the Everton 18-yard box, curled a stunning low effort past the outstretched Pickford to score his fifth goal in seven appearances against the Blues. The visitors got the goal that they deserved when Chris Smalling fouled Richarlison and Moss awarded a penalty. Sigurdsson dispatched with ease, putting his effort powerfully past David De Gea. Everton have won only one of their last 25 visits to Old Trafford and started well. Silva stuck with the forward line of Bernard, Richarlison and Theo Walcott that gave them success in their last away game - a win over Leicester City - but struggled last weekend against Crystal Palace. It signalled the Blues’ intention from the get-go: use the speed and guile of the attacking trio to trouble an uneasy United backline. They found some early joy as Bernard and Walcott were set free by Sigurdsson through balls but there was zero end product from the visitors in the first period. Their best chances came from midfield. Andre Gomes and Sigurdsson both had free headers from inside the penalty box but they did little to test De Gea. Pogba’s fortuitous rebound finish from his missed penalty seemed to take the wind from the sails of the Blues who had started the game brightly. Martial’s wonderful, first-time, curled finish set United on their way to the three points but the Blues had their chance to strike back almost immediately. Bernard had been set free by Richarlison and found himself one-on-one with the United ‘keeper but after skipping around De Gea, the Brazilian could only fire his effort into the side netting. His compatriot, Richarlison, had his own golden chance to give the Blues a lifeline but after being set away by Sigurdsson, could only fire his low effort at De Gea. The defeat sees Everton’s three-game unbeaten run snapped whilst their wait for a win away at one of the ‘big six’ continues.